Review: Cady is the eldest grandchild in a WASPY, wealthy family in New England. They look perfect on the outside but things are not always what they seem. Every summer Cady and her cousins meet up on their grandfather's private island, off Martha's Vineyard. They don't stay in touch during the school year but every summer they come together and have the time of their lives. After suffering a debilitating concussion the summer she is 15, Cady returns 2 years later to try to piece together what happened. This was such a surprising read and I loved every minute of it. I love the idea of the families coming together every summer and the dynamics of the various aunts and the grandfather. Cady's use of fairy tales was also appropriate at times. Overall-fab. 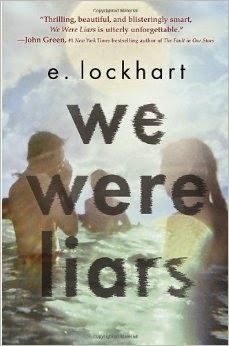 One of my favorite YA books reads.